Sanding Rings for T25942, 20 pc. Grizzly T27804 - Sanding Rings for T25942, 20 pc. 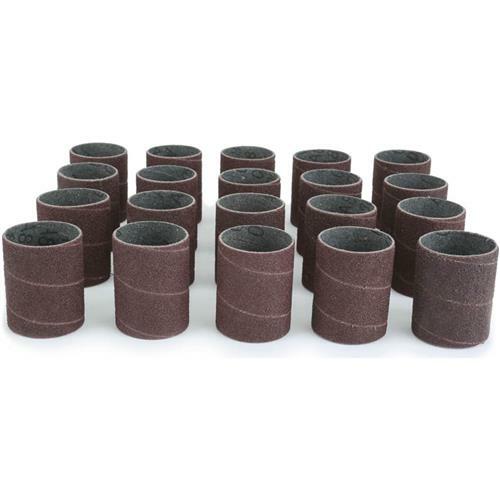 These 2-1/2" tall hard sanding sleeves have a medium grit and are designed to work with our T25942 Pro Sand Roller. Service on the order was great. I have not used the product yet. Bought these with the tool they're made for. Work like they are supposed to. I hope grizzly stocks up so I dont have to wait 6 months to get these ring*s again. Could of done some goodwill with their loyal customers also. This is a come in handy type of tool that most woodworkers /carpenter's should have in the shop . Extra sanding roll are always needed .